Some very large names in the field have done quite well rehashing ideas from Napoleon Hill’s Think and Grow Rich, Dale Carnegie’s How to Win Friends and Influence People, Norman Vincent Peal’s The Power of Positive Thinking, or Earl Nightingale’s The Strangest Secret. Tony Robbins summarized the wisdom of the ages best with his Ultimate Success Formula which goes something like: 1) Know what you want; 2) Know why you want it; 3) Take massive action; 4) Notice what’s working or not; and 5) Change your approach until you get your results. Simple, straightforward, and intuitive, but perhaps not sufficient. No one who’s made it to adulthood should be surprised by any of those steps, yet most of us are still stuck in ordinary. The title for this review comes from the back cover of Dan Waldschmidt’s (@danwaldo) book EDGY Conversations: Get Beyond the Nonsense in Your Life and Do What Really Matters. He takes a different approach and asserts that goals, hard work, and tenacity are not enough because we are our own worst roadblock. Our beliefs and behaviors, excuses and justifications keep us in comfortable mediocrity. Truly rising above, standing out, and making a difference requires a completely different level of commitment, thought, belief, and action. 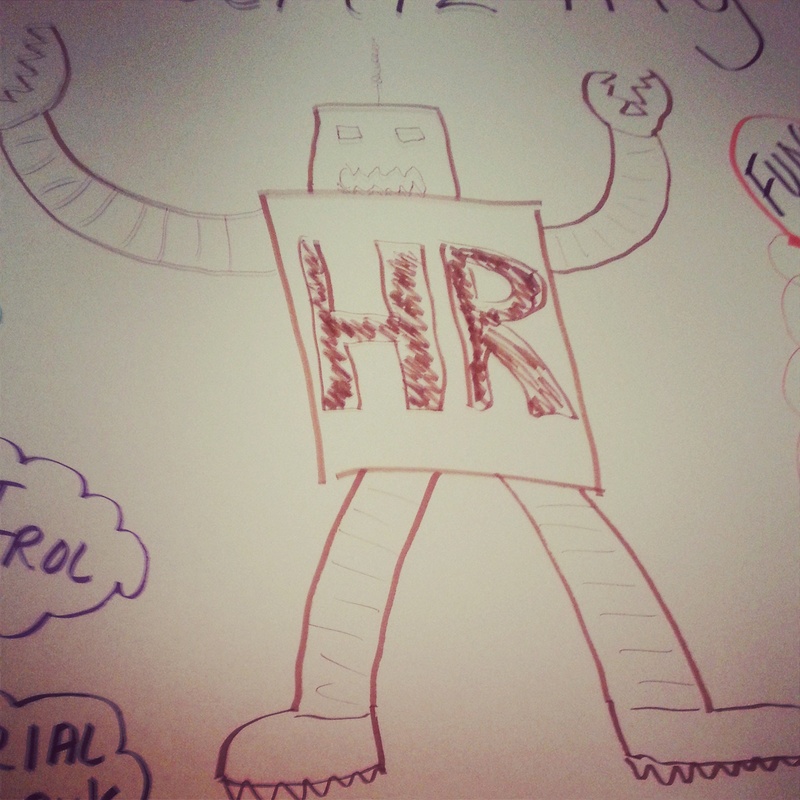 The Killer HR Robot, destroying fun in the name of credibility! HR has a credibility gap. We just don’t get the respect we deserve. Or, at least, it seems HR likes to think HR has a credibility gap. There is no shortage of HR folks who think they don’t get the respect they deserve. Maybe they don’t, but it’s interesting to see what they think will create credibility. I attended the Illinois State SHRM conference recently (a great conference that’s worth crossing state lines for) and a participant, fairly new to HR, expressed concern that we weren’t allowed to have fun in HR. Um, pardon? Apparently her boss and other HR leaders in their community felt that having fun destroys credibility. 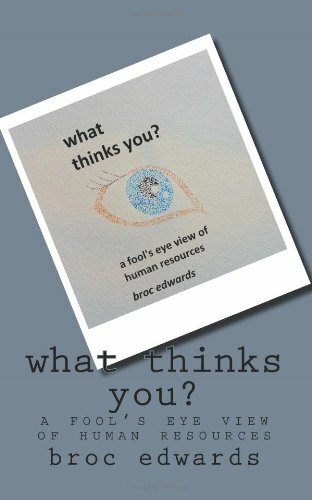 They believed executives wouldn’t respect HR if we were ever viewed as having fun. Fun doesn’t have to mean frivolous. Fun doesn’t have to mean silly. Fun doesn’t have to mean you don’t know what you’re doing. Fun doesn’t have to mean you don’t take serious issues seriously. Fun can mean that people create significant results and enjoy doing it; that although they take their jobs seriously, they don’t take themselves too seriously. It is entirely possible to be outstanding at what you do AND have fun. Work isn’t always fun. Often, it’s difficult, complicated, and unpleasant. Which is why I think it’s doubly important to bring fun to it when we can, to find ways to make it more enjoyable, to find the joy in our work. If nothing else, to have fun working together. To look forward to being around our teams. HR can’t make every day a great one for each and every employee, but there is so much we can do to create a positive culture, a great employee experience, and a strong employment brand. It saddens me to think about the culture and employee experience and business results these anti-fun HR managers are creating. No one looks forward to going to work, giving it their all, and staying around year after year in a miserable environment. I can only imagine the recruiting, retention, and performance problems these companies have. And they think “fun” will ruin their credibility? Too late. Social media gave me heroes. When I first started playing with social media I was awed by a handful of standout people working hard at sharing knowledge, shaking up the status quo, and kicking at the boundaries of their fields. Their larger than life perspectives arrived in my little corner of the world without fail through blog posts and Twitter updates. I began digging down, finding their influencers, and one hero led to another and another and another. I discovered the magic of social media and learned the obvious secret. I could contact – contact! – these heroes and they would respond. Their ideas were big, but they weren’t the untouchable rock stars on the 15 foot high stage. They were open, liked sharing ideas back and forth, and responded quickly. Then, I personally paid to attend a conference over 1,000 miles away for the chance to attend presentations by several of my biggest heroes, learn from them, and meet them in real life. That conference changed my world. After a few embarrassingly starstruck-tweenage-girl-meeting-the-boyband-of-the-week moments I realized these online celebrities of my world were, just people. People reaching out to the world and trying to make a difference in between all the dull-normal moments of life. Yes, they were outstanding at what they did, but they still had jobs to go to, spouses to hand them chore lists, kids to take to the zoo, and minivans in need of replacement. Their weekends looked like my weekends; their workweeks like my own. Another conference followed, then another, and another. At each one, I arrived meeting another hero or two and left with much learning, fantastic discussions, and more friends. Conferences took away my heroes and gave me friends. Friends dedicated to personal missions of changing the world of work. Friends who give their time and advice freely and eagerly. Friends I count on to push me, cheer me on, and inspire me to play bigger in this world. If you go to conferences, when you go to conferences, I encourage you seek out your heroes. Go find them, meet them, talk to them. It’s good to have heroes; it’s better to have friends.